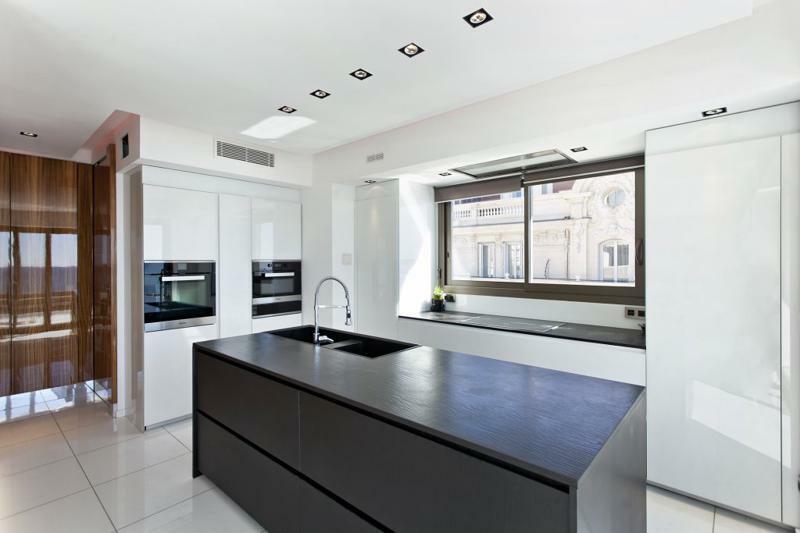 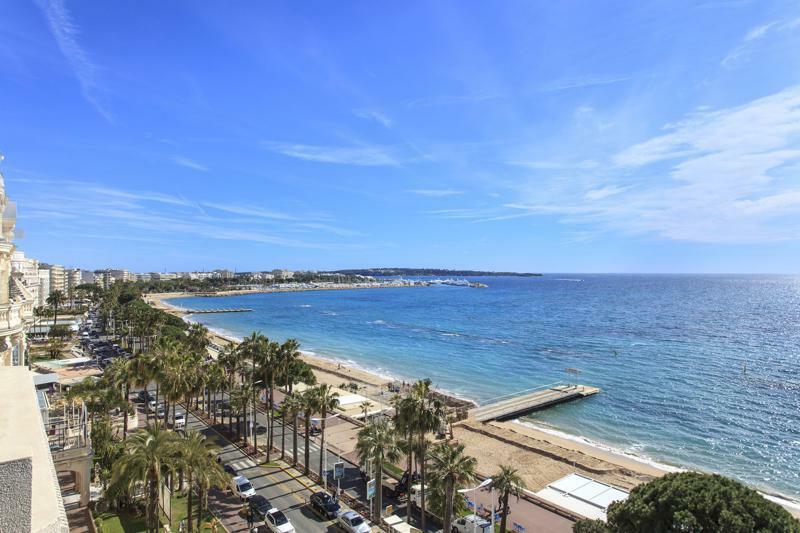 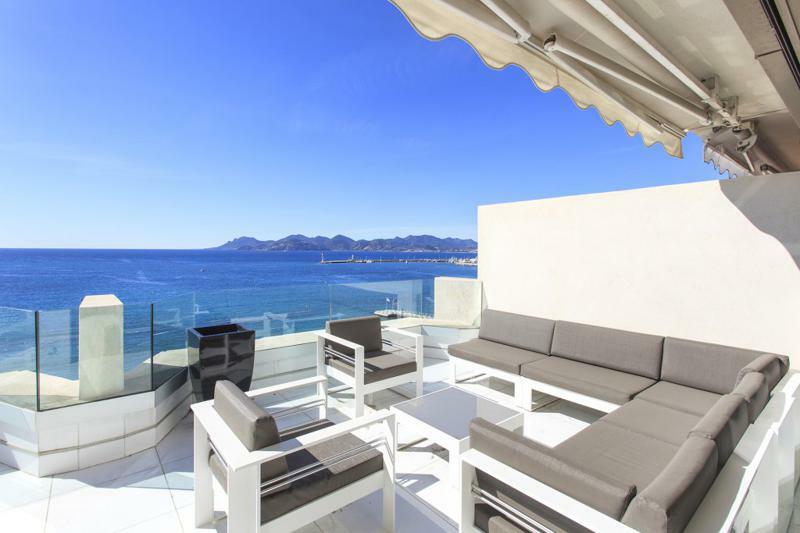 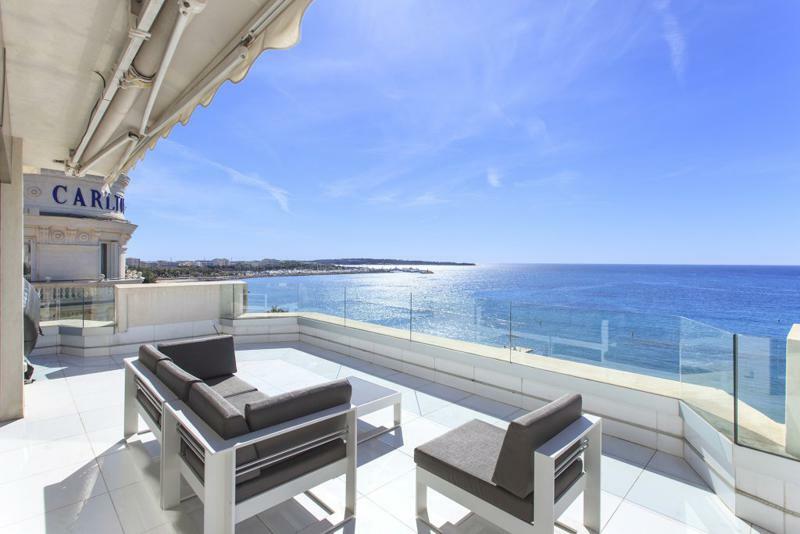 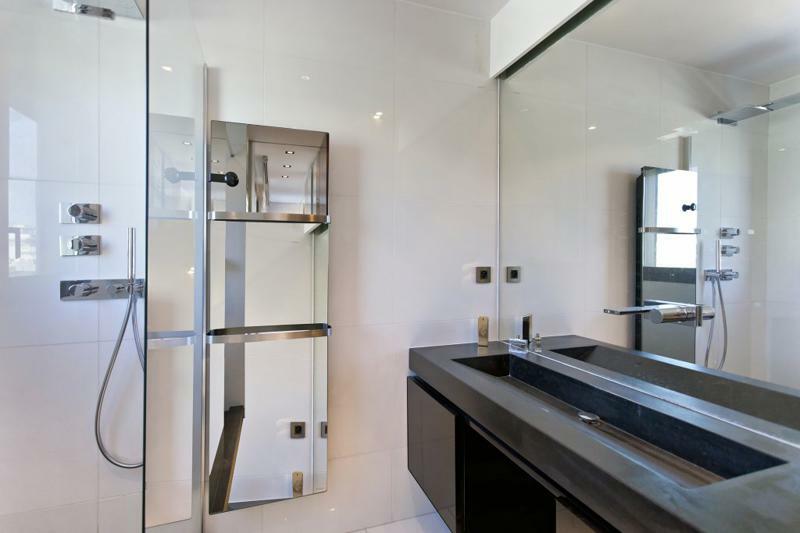 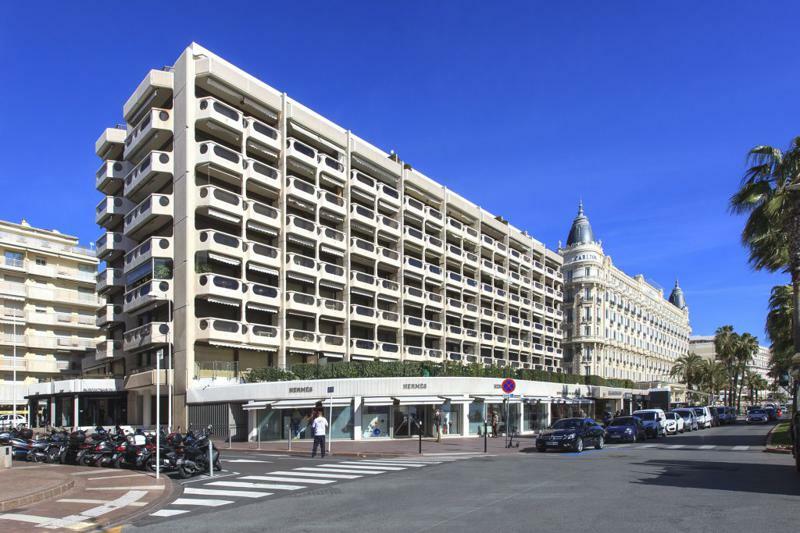 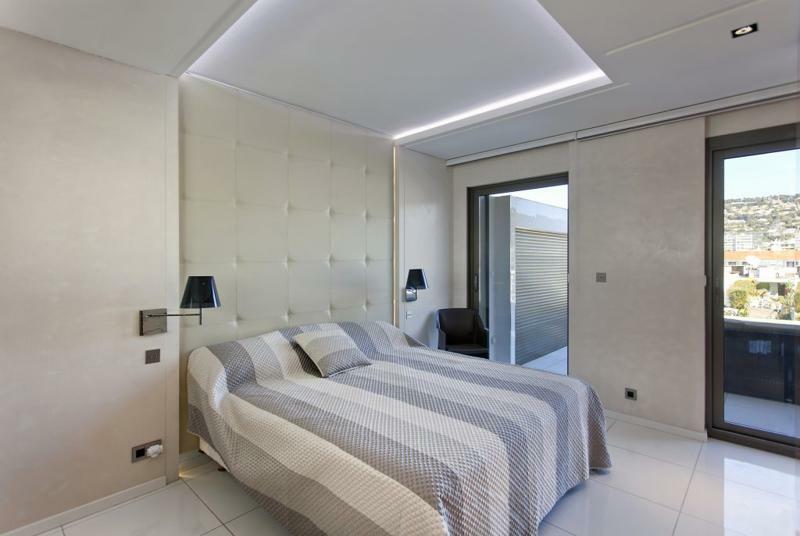 Beautiful property newly refurbished located on the Boulevard de la Croisette, just next to the Carlton Hotel, only 5 minutes walk from the Palais des Festivals. 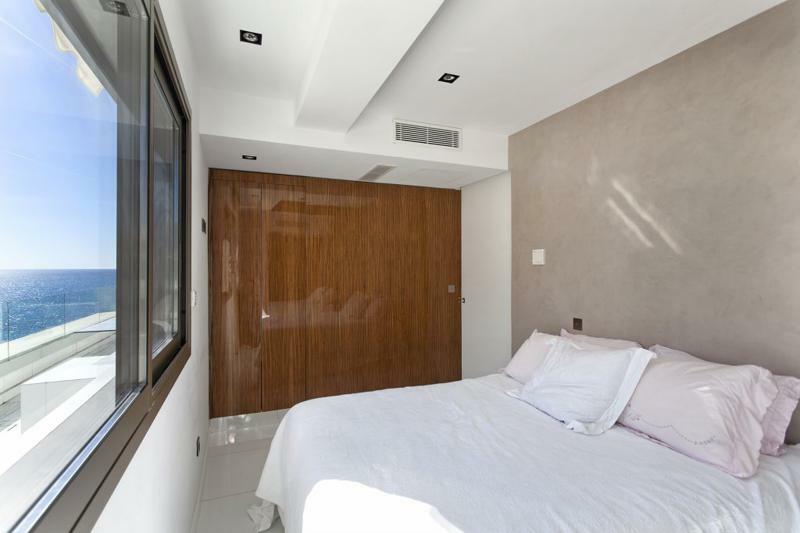 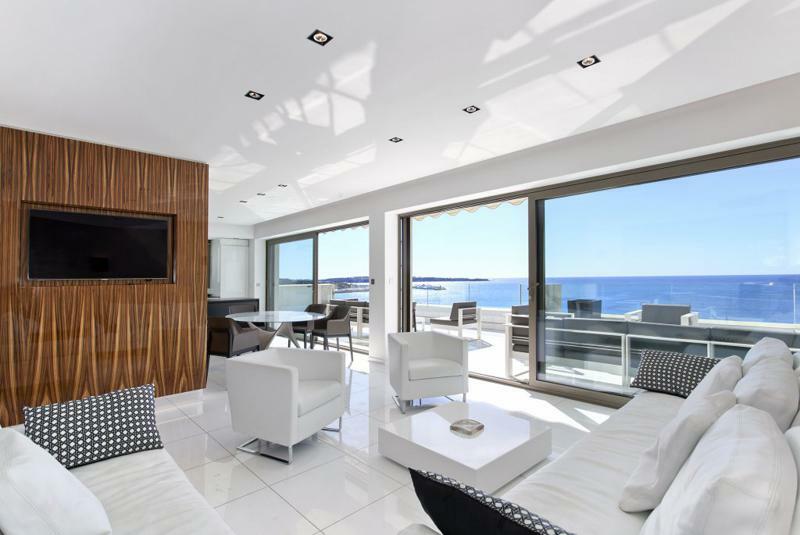 The 110m2 apartment provides a large living room with a lounge area for 6 persons with a big TV screen, a dining area and an open plan kitchen fully equipped. 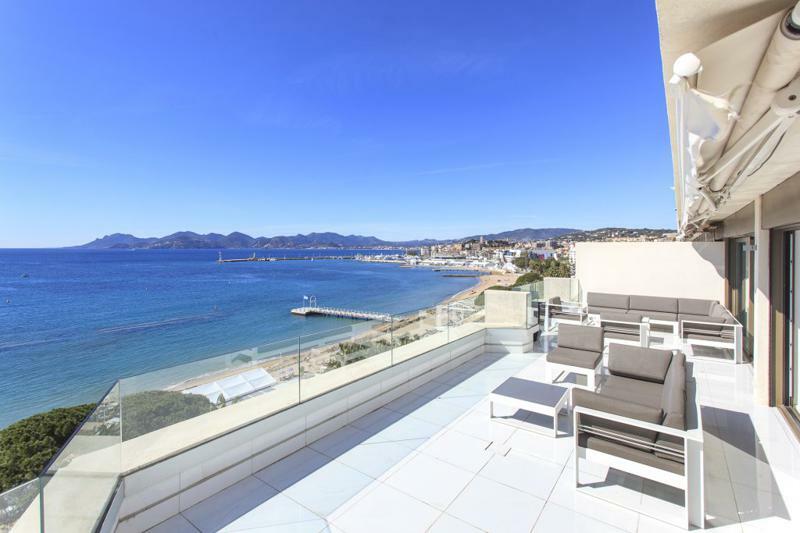 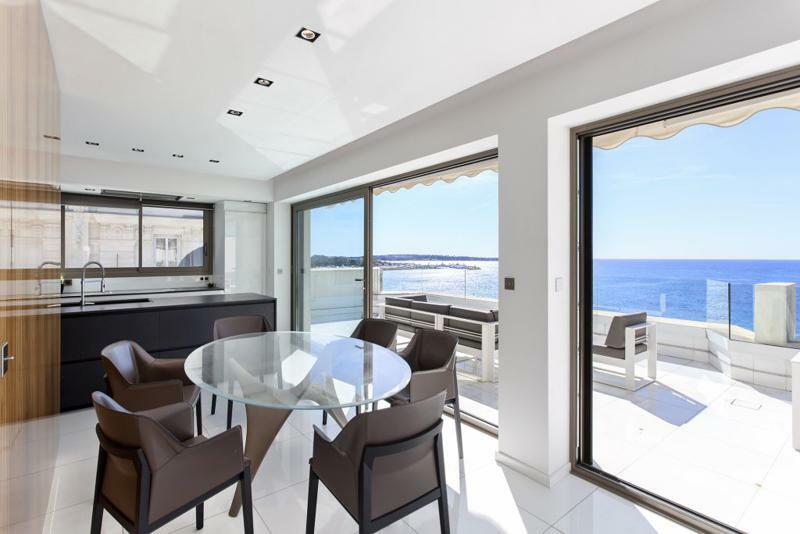 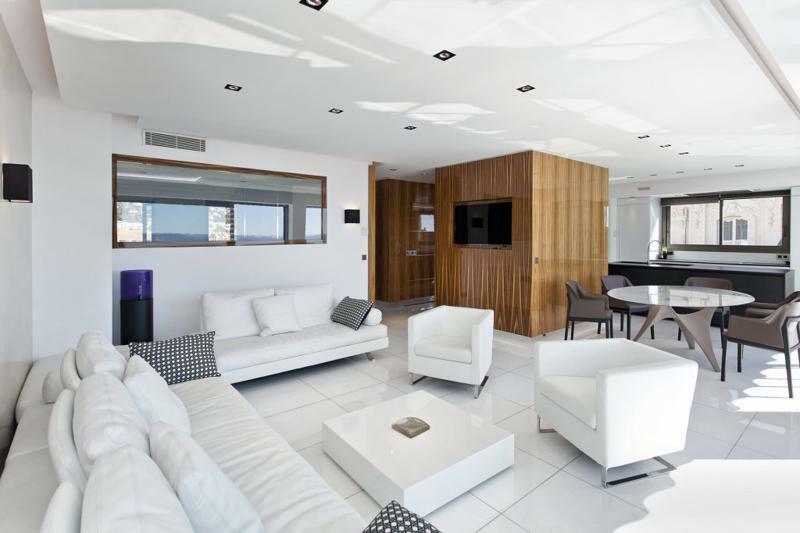 The entire apartment is very luminous overlooking the large terrace (100m2) with sea views over the amazing bay of the city of Cannes. 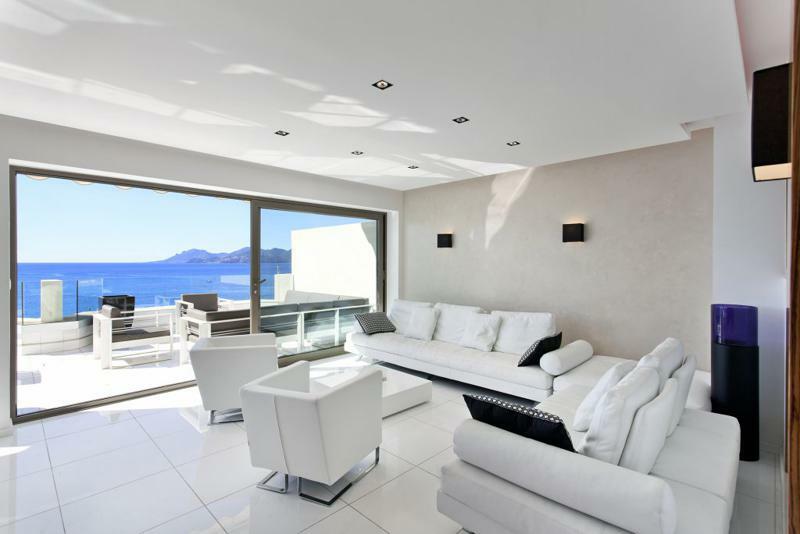 Amenities include a concierge, air conditioning, internet, alarm. 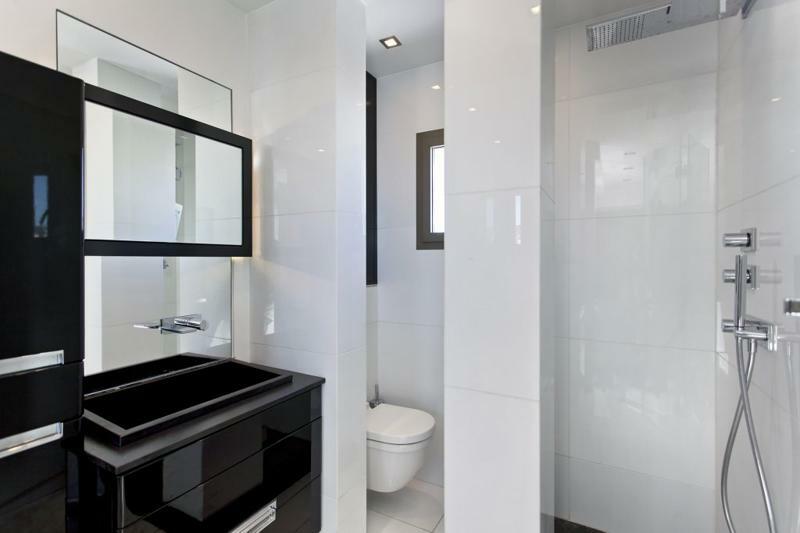 Each of the 2 bedrooms have a double bed and ensuite bathroom with shower and toilet. 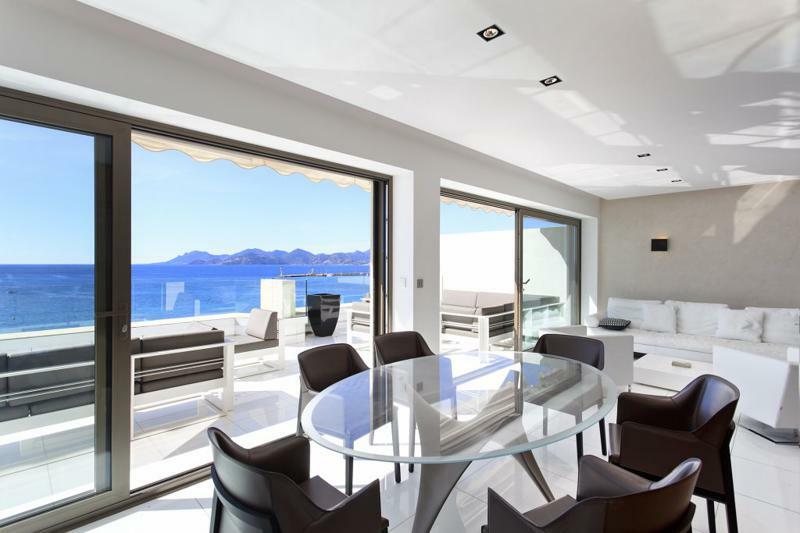 Ideal for event reception such as cocktails during congresses and festivals.